Good story with realistic aspects of online dating but the main character was quite bland and unlikeable. Came across as a spineless person unable to make solid decisions for herself with no logical self control. A bit annoying but all accounts of the actual dating was quite realistic. 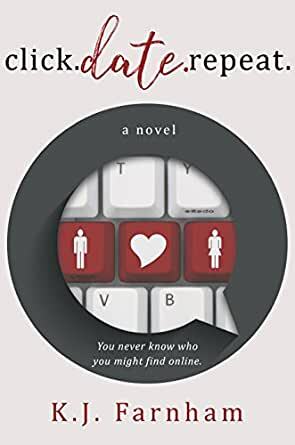 For all those who have dabbled in online dating, this light-hearted book is full of fun and an easy read. If you're after something light and easy to read, this is it. Nothing earth-shattering and with bitchy supposed best friends, it was an ok storyline. I did enjoy this book. It was rather amusing the online dating characters as I think we can all relate! I went from one serious relationship to the next, so I really enjoyed living out a casual dating experience vicariously through this novel. I really liked Chloe, she was the kind of person I could imagine being friends with. Going from one dating disaster to the next, I was just as excited to find out what would go wrong as what would go right. There were a lot of male characters to keep track of, and most didn't last long, so I didn't really get a chance to connect with any of them - but that's casual dating for you. I received this book free from Awesome Indies Book in exchange for an honest review. This is the second book I've read by the author and I'm looking forward to the next. I just loved the easy style of this author. Click. Date Repeat is a humorous look at online dating and the story -even though based in the past- is very much relevant today, maybe, even more so. This was an entertaining read full of quirky observations and some introspection. The characters were lively and fun and really fleshed out. Overall this was a fun chick lit story that was well written, fast paced and entertaining.